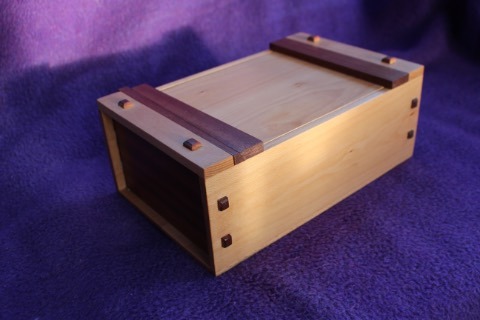 The style of this handy hardwood storage box is inspired by a traditional Japanese tool box design. 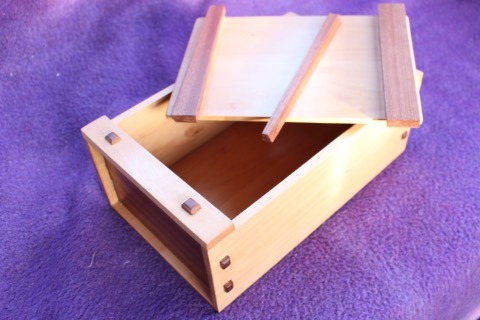 It incorporates a wedge angled in two dimensions to secure the lid and features bevelled tenons at the joins. View the video to see the wedge mechanism in operation. 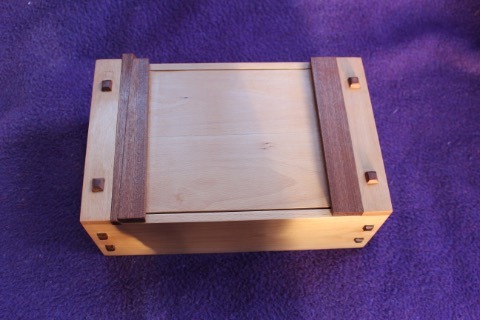 The box has beech sides, top and bottom with sapele mahogany ends and locking wedge features. 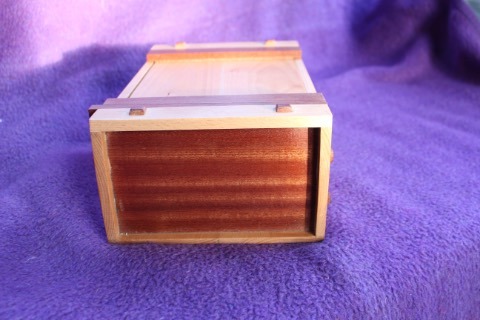 The box has a companion piece built at the same time where the wood features are reversed.